Airmatics stock a wide range of new and used piston compressors suitable for most small to medium sized companies. As well as providing in house and onsite repairs we also offer routine service programs for piston compressors. Most piston compressors have similar control circuits making repairs and maintenance easy. The most common reciprocating compressor is an oil lubricated machine, Our Airmac compressors deliver reliability and efficiency. Originally Built in 1953 these cast iron pumps have lasted the test of time. Available from 1.5 - 11kW and capable to supply 10 bar of pressure, we've got your small compressor requirements covered. 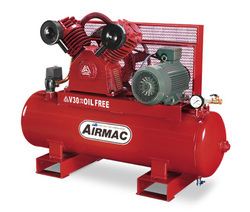 Oil free compressors are used extensively in the medical, dental and beverage industry. The Airmac oil free piston range provide oil free air and are perfect for small dental practices and laboratories. 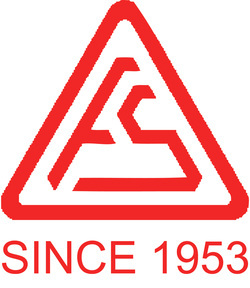 We are set up to repair all brands and sizes of piston compressors. If it's convenient for you; it will work out cheaper if you can bring your portable machine down to our workshop in Penrith for us to inspect and repair. For larger industrial compressors we have three work vehicles all decked out to complete onsite repairs quick and effectively. Please note with cheap tool shop machines there can be some parts that may not be able to be sourced.